Now, we are pleased to present one of the essays selected for honorable mention, from Russell Worth Parker of the University of North Carolina-Wilmington. The years since 2001 leave the United States in a strategic fog. What began as an effort to destroy Al Qaeda in Afghanistan spread to South Asia, the Middle East, North Africa, and the Levant in a war that seems long on how and short on why. Civil war in Syria and continued unrest in Iraq made the fertile crescent ready ground for the rise of the Islamic State. Subsequent population displacement in extant warzones and radicalization of native populations gave rise to attacks in Europe. Even the United States, long reliant on geography as a bulwark, has seen militant Islamic violence, revealing the shallow thought behind the bumper sticker notion that we have to fight them over there so we don’t have to fight them here, and reinforcing the impetus for an ever widening, vaguely defined war reliant on aging authorizations disconnected from classic Just War Theory. What are the essential tenets of Western Just War Theory? Is there an Islamic parallel to Western Just War Theory and if so, what are its essential tenets? Finally, are atrocities of Islamic militants countenanced under an Islamic Just War Theory? Understanding Western precepts of Just War Theory, analogous concepts within Islamic jurisprudence, and analyzing militant Islamic movement actions against them may offer strategists and policymakers philosophical means from which to attack the legitimacy of militant Islamic movements and thereby weaken their critical popular support. WHAT ARE THE WESTERN TENETS OF JUST WAR? The Western theory of Just War finds genesis in Augustine’s deliberations on Christianity and warfare. Just War Theory sets forth standards, both jus ad bellum(rules governing if a war may be fought) and jus in bello(rules governing how a war is fought), standards which must be met if a war is to be considered just. Christian philosophers have posed numerous notions designed to restrain recourse to and prosecution of war. Augustinian jus ad bellum was intended to guide medieval leaders in their approach to war. According to Stephen E. Lammers, the key jus ad bellum criterion for prosecution of a Just War demand war be publicly declared by competent authority, fought with the right intention, fought for a just cause, fought for a proportionate reason, fought for a just peace, and a last resort. Modern ideas of morality and proportionality, as well as motives for waging war have shifted the balance of concern away from jus ad bellum considerations, leaving jus in bello as the guiding principle in the western way of warfare. Lammers identifies two essential considerations for jus in bello under the Christian ideal: discrimination (avoiding targeting noncombatants and ensuring precision of military action) and proportionality (both of response and effect thereof). This is especially important in irregular warfare, where the objective may be the populace as much as any geographic objective. Western Just War Theory places a premium on avoiding the intentional targeting of, and unintended collateral damage to, non-combatants. Western emphasis on the use of precision weapons or simply foregoing a strike to avoid collateral casualties supports this claim. Where discrimination proves strategically impossible, Just War Theory demands a response be proportionate to the action that compels it. Proportionality dictates a military operation not cause greater harm than the act it was designed to counter/prevent. Examples may be seen in the Coalition decision not to push into Iraq during the 1991 Gulf War or rules of engagement designed to minimize civilian deaths or damage to structures. One may even argue the use of atomic bombs in World War II illustrates proportionality, since casualty estimates for an invasion of Japan exceeded 1,000,000 Allied lives, with similar estimates for Japanese military and civilians. While the actual casualties suffered between Hiroshima and Nagasaki reached 200,000, they represented only 10% of invasion estimates. The jus in bello considerations of Just War Theory are critical to the Western way of war. Sixteen years of warfare have made clear that militant Islam follows different norms, but are those methods representative of the religion that the enemy claims to represent or are do militant Islamic forces ignore Islamic parallels to Western notions of Just War? IS THERE AN ISLAMIC PARALLEL TO WESTERN JUST WAR THEORY? Shari’a law is interpreted by Islamic scholars from the teachings of Mohammed in the Qu’ran. Those judgments constitute authority amongst the followers and adherents of those scholars. This aspect of the culture is used well by militant Islamic movements and much less so by the West. Qu’ranic laws related to Just War largely parallel the Christian jus ad bellum requirements, with a critical difference. As Sohail Hashmi explains, “There is no analogue in Islamic texts to Aquinas' Question 40: ‘Are some wars permissible?’ The Islamic discourse on war and peace begins from the a priori assumption that some types of war are permissible—indeed, required by God—and that all other forms of violence are, therefore, forbidden.” Professor John Kelsay synthesized the key elements required by Sunni Islam for a war to be just. There must be Just Cause (Shi’ite Scholars offer examples such as self-defense or war to expand the reach of Islam, geographically and/or culturally). There must be an invitation to the enemy to accept Islam and a declaration of Muslim intent to fight if the acceptance is not forthcoming. The declarant must possess Right Authority. The war must be fought in accordance with Islamic values. The editors of The Crescent and the Cross: Muslim and Christian Approaches to War and Peace offer additional analogues to western Just War concepts: right intention, reasonable prospect of success, last resort, and proportionality. If Islamic views of jus ad bellum are essentially expressed in the preceding five ideals, what then of jus in bello? Islamic scholars are in basic agreement about Qu’ranic jus in bello. The Qu’ran says, “Fight in the way of God those who fight against you, but do not transgress. God does not love the transgressor.” One Qu’ranic scholar defined transgression as “initiation of fighting, fighting those with whom a treaty has been concluded, surprising the enemy without first inviting them to make peace, destroying crops or killing those who should be protected.” To satisfy Islamic jus in bello requirements and avoid transgression Muslim combatants must utilize discrimination and proportionality. According to Robert Jeffrey Williams, the Qu’ran clearly mandates discrimination by commanding, “Believers, show discernment when you go to fight for the cause of God, and do not say to those that offer you peace: ‘You are not Believers’…therefore show discernment; God is cognizant of all your actions.” Similarly, the Qu’ran proscribes the killing of “the very old, the infant, the child or the woman.” Jurists agreed on prohibiting the intentional killing of women and children. Islamic jurists appear to concur that male non-believers who reject an offer to convert to Islam are just targets in war. The presence of innocent Muslims in a target area posed a problem that remains unresolved. Islamic Just War Theory mandates attacks be proportional in both response and effect. This requirement adds a religious component to the question of which types of weapons are acceptable for use. Again looking at the debate amongst early Islamic jurists, the agreement is unanimous that “when two armies face each other, the Muslims could inflict harm on the disbelievers by throwing arrows, stones, striking with swords, stabbing with lances, or throwing boiling water upon them.” Modern weapons have progressed far beyond this stage, but the intent seems clear; conventional weapons in direct combat are an acceptable manner in which to engage non-believers. Modern students of Islam, informed by extant capabilities for existential destruction cite the Qu’ranic prohibition on the use of fire as a weapon. As a result, pious Muslims proscribe nuclear weapons because they use fire to burn the enemy, “cause destruction on the earth,” kill many innocents, and the results could be suicidal. Ancient jurists seem less clear regarding the use of fire, but it is clear that for an Islamic military action to be just, it must be proportional in response to an action. ARE MILITANT ISLAMIC ATROCITIES JUSTIFIED UNDER ISLAMIC JUST WAR THEORY? “Genuine Islam condemns terrorism as clearly as the Bishops in Ireland condemn the IRA.” Mainstream Islam denounces indiscriminate terrorism, but as surely as some Christian subsets use the Bible to spread hate and intolerance, Islam is vulnerable to similar treatment. Movements like those embodied by Al Qaeda and the Islamic State do just that, citing Sayeed Qutb’s dictate in Signposts that “Muslim leaders who govern through non-Islamic systems such as capitalism or communism…should be declared unbelievers and become the targets of revolutionary jihad.” This is the justification for their violations of Islam’s clear jus ad bellum and jus in bello restrictions. Understanding the disparities may allow strategists to divine plans to deconstruct and invalidate militant Islamic arguments and actions. In addressing specific inadequacies of militant Islamic positions on warfare, it is important to explore the specific Islamic rules of rebellion, and their jus ad bellum strictures. Militant Islamic movements perceive their actions as revolutionary and assert Sayeed Qutb’s revolution against Western influence and perceived corruption of Islamic purity as justification for horrific acts. Whether a Muslim could rebel against an unjust ruler was determined via a three-fold test: Had there been an act of rebellion against the unjust ruler (an “express violation of law”)? Was the rebellion in keeping with Islamic juridical rulings? Was the rebel group of substantial size and organization? Furthermore, rebellion is allowed when the struggle is to regain what has been stolen, be it property, territory, or rights. Al Qaeda, the Islamic State, and associated movements, have issued proclamations and committed acts against unjust rulers as they define them. The increasingly global reach and organization of groups like the Islamic State clearly meets the size and organization requirement for a just Islamic rebellion. As to the second requirement, however, the fundamental underpinnings of both organizations lay with self-styled Islamic jurists of varied pedigree, a critical flaw. The elemental question is whether militant Islamic actions are in keeping with Islamic juridical rulings. The answer must be no; they are de facto illegitimate and unjust. Militant Islam’s justification for, and prosecution of, war against the West fails to meet much more prevalent Islamic juridical requirements for jus ad bellum and jus in bello. Osama Bin Laden’s justification for rebellion against Muslim leaders and attacks against western targets found genesis with Sayeed Qutb. Qutb specifically addressed rebellion against Muslim leaders when he introduced the idea of takfir (declaring a ruler, or any other Muslim, an unbeliever based on his actions). However, militant Islamic groups should be evaluated under the same jus ad bellumstandards used by Islamic scholars since the 12th Century and synthesized by scholars such as Kelsay. Through that lens, militant justifications for their actions are illegitimate violations of basic Islamic tenets of warfare. The Western ideals of Just War Theory mandate just causus belli before hostilities between sovereign states commence. Under Western ideals, a war waged by a non-state actor is violative of the requirement for failure to establish Just Cause. Under Islamic Just War Theory, Just Cause is generally recognized as self-defense or a battle for the expansion of the faith. Bin Laden offered the notion that his actions were a form of Muslim self-defense, even referencing proportionality when he said, “Americans should expect reactions from the Muslim world that are proportionate to the injustice they inflict,” but his actions gave lie to the weakness of his arguments. Fighting ideas with violence is hardly proportional, even if one invokes power imbalance as justification. In 1995, Bin Laden laid out his position against King Fahd of Saudi Arabia, claiming Saudi Arabia was uncommitted to Sunni Islam, could not defend itself (thus relying on non-Muslims for protection), and wasted public funds. Simultaneously Bin Laden called for war against Americans on Saudi soil. One year later he issued a “Declaration of War Against the Americans Who Occupy the Land of the Two Holy Mosques,” in which he offered his movement as a means to defend Saudi oilfields from “USA Crusader military forces.” Bin Laden’s claim to wage a war of self-defense fails on its merits, though. Kelsay defines Islamic self-defense as that waged “in defense of a political entity identified with Islamic values,” presumptively a sovereign government. Ignoring any requirement for sovereignty, and using the most expansive and accommodating definition, one may view militant Islamic movements as Islamic political entities, but there is no credible Islamic militant claim to a genuine war for state survival, thereby invalidating any claim to a right of violent defense. The fourth jus ad bellum requirement in John Kelsay’s analysis is that of the mandate to wage war according to Islamic values. This is connected to jus in bello, as it requires the contemplation of what form military action will take and what the subsequent results of that action, before it is initiated. Why militant Islamic groups fail to meet this requirement will be made more clear by following treatment of the two jus in bello Islamic concepts. Right intention is not one of Kelsay’s requirements, but other Islamic scholars recognize it. Islam requires that its warriors fight only for God, not aggrandizement, glory, or booty. Again, offering maximum credence to militant Islamic philosophy, it is possible to acknowledge that they believe they fight for God. A statement by Osama Bin Laden regarding the House of Saud and demanding the return of “Islamic law, and…real shura (consultative government)” lends credence to this notion. In an impartial analysis, one must acknowledge that from the perspective of militant Islamism, Bin Laden may have possessed right intention. Nonetheless, a world composed of civilized cultures cannot ignore the violence that accompanies militant Islam in order to accept a separate set of rules for its adherents. From the perspective of Islam as a whole, militant Islamic groups may be seen as fighting to sow disorder and are lacking in Right Intention. Both Al Qaeda and the Islamic State have used this tactic to some effect; the former by forming a network encompassing the northern half of Africa, the Levant, and the Middle East; the latter by effecting a sudden, rapid attack throughout Eastern Syria and Western and Northern Iraq. Still, the best hope for either would have to be to simply outlast the Western presence in the Middle East, an increasingly unlikely notion for any form of militant Islamic government meaning militant Islamic groups fail to meet the requirement for Prospect of Success. Last Resort is yet another area where militant Islamic groups fail. It is a troublesome requirement, as Qu’ranic rules prohibit Muslims from surrendering to oppression. Muslim scholars have made it clear that last resort does not mean the exclusion of any military action regardless of the result. Such a notion would be counter to the demands of the jus ad bellum requirement for reasonable chances of success. However, the militant Islamic default to violence diminishes any claims to Last Resort. The final jus ad bellum requirement in Islam is that of Proportionality. Proportionality requires the harm suffered is proportional to the good achieved. Since 9/11, countless Muslims died either as a direct effect of militant violence or a collateral damage suffered in a response. From the perspective of a militant Islamic group, the good achieved thus far seems to be Western deaths, symbolic strikes against the Western power structure, and the slow bleed of Western resources and corresponding diminution of will. To cite a glaring example, the 9/11 attacks did inflict damage on both the American psyche and economy, but they ultimately resulted in a massive loss of life in Muslim countries, the unseating of the Taliban, the elimination of an Al Qaeda power base in Afghanistan, the occupation of Iraq and subsequent ongoing bombing campaign against the Islamic State, and unprecedented number of American forces in Muslim countries. Militant Islamic groups fail to meet seven out of eight Islamic jus ad bellum requirements for just war, a fact that should be capitalized upon by planners, especially information operations professionals. However, given the battle has been joined, those who would make sense of the current conflict must analyze it under the jus in bello requirements of proportionality and discrimination. The true distinction of proportionality is the form a rebellion, or act of warfare, takes. Islamic rebellion is just if kept within the bounds of proportionality. During the U.S. Civil War Francis Lieber, legal adviser to General Henry Halleck, offered the opinion that soldiers fighting an irregular war cannot be just if they do not ascribe to the same code as the regular soldiers they are fighting. His ideas were rooted in Western notions of just war, but, as we have seen above, Islamic ideas of just war follow so closely with western requirements that his analysis has value. Lieber’s work is a good point from which to analyze acts of terror committed in the name of Islam. As noted, Islamic Just War Theory requires Just Cause, two examples of which may be self-defense or the expansion of Islamic influence. In Lieber’s analysis, irregular warriors do not represent a sovereign and thus lack right authority. Tactics employed in irregular war may fail to meet the discrimination and proportionality requirements for jus in bello under Islamic or Western analyses. Many Christian and Muslim leaders agree: “What is missing from modern Islamic organizations engaged in irregular war is any real discussion of the in bello limits to be placed on the means to be used.” Herein lies the problem. Classical Islam embraced the debate of whether an irregular warrior could fight a just war. Modern militant Islam seems to have discarded that debate in enthusiastic acceptance of the notion that he or she must. Discrimination in targeting is the second element required for actions taken in war to be just under Islamic rules. Muslims are prohibited from using poison or weapons of mass destruction, killing wounded, or mutilating dead bodies. It is here that militant Islamic groups notoriously violate the rules of the religion they claim as their motivation for waging war time and time again. Bin Laden claimed ultimate responsibility for the 1993 killing and subsequent mutilation of American soldiers in Somalia, a less direct but morally culpable violation of the Qu’ranic prohibition on the mutilation of bodies. Mutilation of the dead is unlawful under Islamic jus in bello tenets. The use of suicide bombers against the USS Cole, the World Trade Centers, and the Pentagon, in violation of the Islamic prohibition against suicide, is yet another example of the ideological bankruptcy of militant Islamic groups. This total disregard for target discrimination should come as no surprise considering Bin Laden’s 1998 statement calling for an attack on all Americans: “The ruling to kill the Americans and their allies—civilian and military—is an individual duty for every Muslim who can do it in any country in which it is possible to do it.” Clearly, militant Islam discounts the Qu’ranic prohibition on the intentional killing of women and children, regardless of their religion. This is one area that virtually all Muslim jurists have agreed upon, and Al Qaeda’s conscious decision to issue a fatwa countering the rule is a clear violation of the most basic Islamic rules of jus in bello. Simply put, militant Islamic groups broadly fail to meet the Islamic standards for Just War. Though morally bankrupt and ideologically unsound according to Islamic jurisprudence, these movements kill others for supposedly failing, weakening, and/or ignoring Islam as they profess it. As the Islamic State falls back in Mosul and Raqqa, they will rise again elsewhere. The Taliban resurgence in Afghanistan portends a prolonging of that fight. However, clear-eyed analysis of the ideological illegitimacy of militant Islamic groups may offer strategists and planners means to attack their philosophical foundations, thus weakening their recruiting efforts, delegitimizing their actions for fence sitters, and cementing broad popular opinion against them. Planners must understand the enemy at their fundament and be able to attack them accordingly. Russell Worth Parker is a career United States Marine Corps Special Operations Officer, currently assigned to Headquarters, U.S. Special Operations Command. He is a veteran of Iraq and Afghanistan. He is a graduate of the University of Colorado and the Florida State University College of Law. He is currently a candidate for a Master of Arts in Conflict Management and Resolution at the University of North Carolina-Wilmington. The views expressed in this article are those of the author and do not reflect the official policy or position of the United States Special Operations Command, the United States Marine Corps, the Department of the Navy, the Department of Defense, or the United States Government. 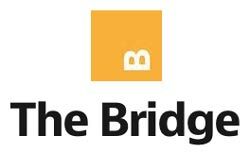 This article appeared originally at Strategy Bridge. Stephen E. Lammers, Approaches to Limits on War in Western Just War Discourse, in Cross, Crescent and Sword: The Justification of War in Western and Islamic Traditions, 58 (John Kelsay & James Turner Johnson, eds.,1990). The Avalon Project at Yale Law School, The Avalon Project. Sohail Hashmi, Interpreting the Islamic Ethics of War and Peace, Princeton University Press. Harfiyah abdel haleem, Oliver Ramsbotham, Saba Risaluddin & Brian Wicker, ed., The Crescent and The Cross: Muslim and Christian Approaches to War and Peace 113 (1998). Fighting is to be “fi sabil illah” (in the way of God). War cannot be waged for personal glory or the simple expansion of territory (though if expanding geographic boundaries of Islam is the purpose of conquering territory it is acceptable.) War that is under taken without a clear calculation of the measure of success is in violation of this precept. Last resort is problematic, because of the implications of waiting till the last possible moment to defend the faith. Haleem et al. link last resort to Kelsay’s requirement that an “adversary be given the chance to accept Islam or pay a tax.” Jus ad bellum requirements of proportionality differ from jus in bello. Here proportionality means that the harm done by war is proportionate to the good achieved. Mohammed Marmaduke Pickthall, The Meaning of the Glorious Koran 2:190 (1956). Harfiyah abdel haleem, Oliver Ramsbotham, Saba Risaluddin & Brian Wicker, ed., The Crescent and The Cross: Muslim and Christian Approaches to War and Peace 116 (1998). Robert Jeffrey Williams, Ph. D. Thesis, A Socio-Historical Analysis of Warfare (Jihad and Qital) In Primitive Islam, (1994). Yasir S. Ibrahim, M.A. thesis, A Translation of Al-Tabari’s Book of the Disagreement Among Muslim Jurists: The Book of Jihad, at 9 (1998). Some advocated killing anyone able to fight, to include those who may someday be able to fight, such as wounded young men. Other jurists recommended killing any and all non-believers. Still other jurists were proponents of sparing women and children, though in early Islam sparing could mean enslavement. Harfiyah abdel haleem, Oliver Ramsbotham, Saba Risaluddin & Brian Wicker, ed., The Crescent and The Cross: Muslim and Christian Approaches to War and Peace 117 (1998). Mohammed Marmaduke Pickthall, The Meaning of the Glorious Koran 2:60 (1956). Id. at 2:19. Suicide is prohibited by the Qu’ran. Harfiyah abdel haleem, Oliver Ramsbotham, Saba Risaluddin & Brian Wicker, ed., The Crescent and the Cross: Muslim and Christian Approaches to War and Peace 121 (1998). Steve Coll, Ghost Wars 113 (2004). 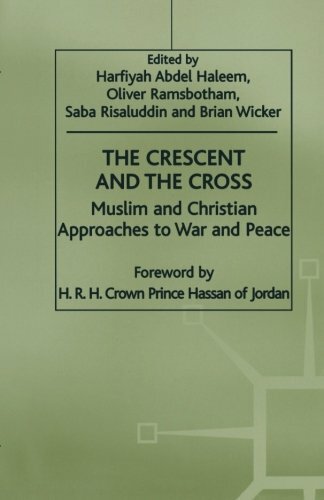 Harfiyah abdel haleem, Oliver Ramsbotham, Saba Risaluddin & Brian Wicker, ed., The Crescent and the Cross: Muslim and Christian Approaches to War and Peace (1998). Mohammed Bazzi, Bin Laden uses 19th Century Ideas to Justify Killing Infidels, Sun-Sentinel.com (2001). Frontline, Osama Bin Laden v. The U.S.: Edicts and Statements. John Kelsay, Islam and War: A Study in Comparative Ethics (1993). Abdulaziz Sachedina, Justifications for Violence in Islam, J. Lutheran of Ethics (2003), at . D. J. Harris, Cases and Materials on International Law 1060 (5th ed. 2003). Nida’ul Islam, Interview With Mujahid Usamah Bin Laden. James Turner Johnson, The Holy War Idea in Western and Islamic Traditions 165 (1997). John L. Esposito, Unholy War: Terror in the Name of Islam 48 (2002). Mohammed Marmaduke Pickthall, The Meaning of the Glorious Koran 4:75 (1956). Harfiyah abdel haleem, Oliver Ramsbotham, Saba Risaluddin & Brian Wicker, ed., The Crescent and the Cross: Muslim and Christian Approaches to War and Peace 115 (1998). Harfiyah abdel haleem, Oliver Ramsbotham, Saba Risaluddin & Brian Wicker, ed., The Crescent and the Cross: Muslim and Christian Approaches to War and Peace 123 (1998). John Kelsay, Islam and War: A Study in Comparative Ethics 78 (1993). Hilmi M. Zawati, is Jihad a Just War? War, Peace, and Human Rights under Islamic and Public International Law 42 (2001). Peter L. Bergen, Holy War, Inc. 83 (2001).